The PG recently ran a piece outlining great lunch deals in the city. (Check it out here). As I spend my days in a cube in the US Steel Tower, I really wanted to check some of these places out. Luckily, I have a few adventurous coworkers. On a recent lunch hour, we made our way to Istanbul Grill (643 Liberty Ave). A salad plate (tossed salad and scoops of three other cold salads) will run you $5. Not a bad deal. The place is tiny and service is somewhat on the slow side – this is likely a result of no-one knowing what they are looking at and then being forced to choose three salads on the fly as you approach the counter. Istanbul might benefit from listing the day’s choices somewhere more visible. I saw a chalkboard hidden behind the cooler containing drinks but I am not sure that even listed the salad choices. The only option was to point at what looked tasty. 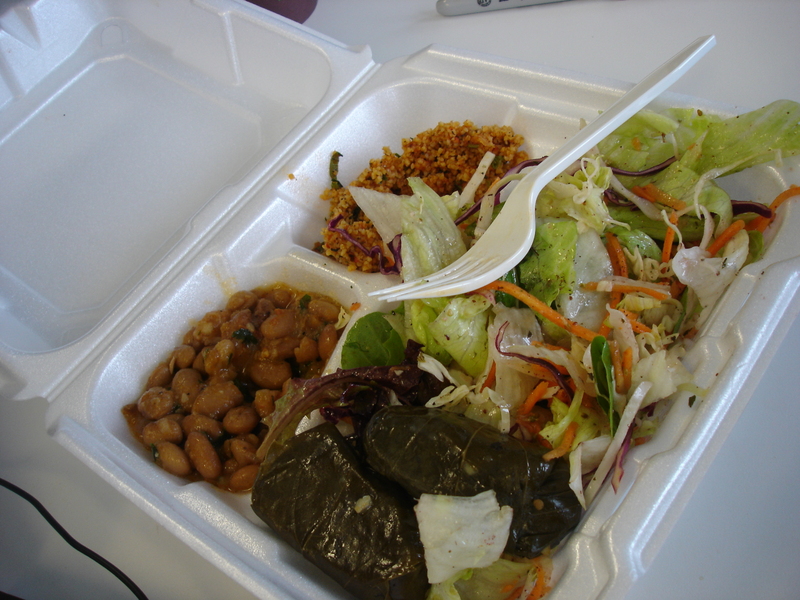 I believe I ended up with some type of tabbouli, slow cooked beans, and grape leaves. The pointing thing worked fine for me as everything was flavorful and light. Check it out! One of my very best Pittsburgh pals is up and moving to California. I am so very happy for him but so very sad that we will no longer frolic around our favorite Shadyside haunts on a regular basis. Last week, he and I decided to meet up for one last dinner date. 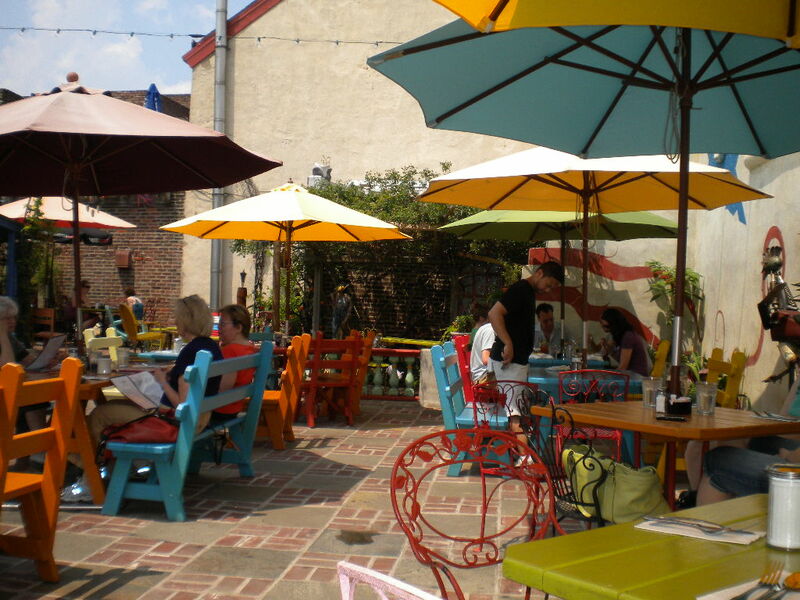 We chose Avenue B, a Shadyside/Bloomfield BYO that has lately received much press and praise. Avenue B’s location is interesting – you will find in on Centre Avenue, close to the Market District Giant Eagle. This time of year, you are able to spot it due to it’s outdoor seating. However, this seating is quite close to the busy road and a bus stop. We opted to sit inside. The interior was actually more simple and casual than I expected. I felt comfortable in jeans. To note, I spotted everything from jeans to sport coats during the course of the meal. Avenue B’s regular menu is tiny – something like three appetizers, three entrées, three desserts. However, they also have a chalkboard listing many more options – this easily plays into their seasonal/local bent. Service was pleasant and prompt – maybe slightly awkward, but nothing troublesome. We quickly settled into a bottle of red (BYO! Yay! $5 corkage) and ordered up a gazpacho appetizer which the kitchen generously offered to split for us. The gazpacho was bright and pleasant and include a nice piece of crab on top. Entrées were next. For him, it was the Kobe meatloaf, a dish our server said was becoming a ‘signature’ item (on the regular menu). I think the meatloaf could have been a bit juicier, but the components of the dish came together quite well and my date easily polished off his serving. I went with the sea scallops and squid ink pasta (a ‘special’). The scallops were cooked perfectly – little seared pillows of tender goodness. I would definitely recommend the scallops if they happen to be on the menu if/when you visit. Overall, I felt the entrées were Avenue B’s strong point. Prices at Avenue B are creeping toward ‘high’. Yet, in my opinion, the BYO makes this place reasonable. Appetizers and desserts are going to run $7-$10ish, entrées $18-$25ish. However, it appears the kitchen is using quality ingredients and executing somewhat innovative dishes (for the ‘burgh, mind you). I can’t help but compare Avenue B to Stagioni – I feel like they are doing a similar thing. BYO, stepping up the food game a bit, putting out good eats. A recent trip to Stagioni had me digging into an amazing bowl of pasta with eggplant. (Read about my first Stagioni trip here). Avenue B probably edges out Stagioni on ambiance and space but I truly think both places are worth a visit. 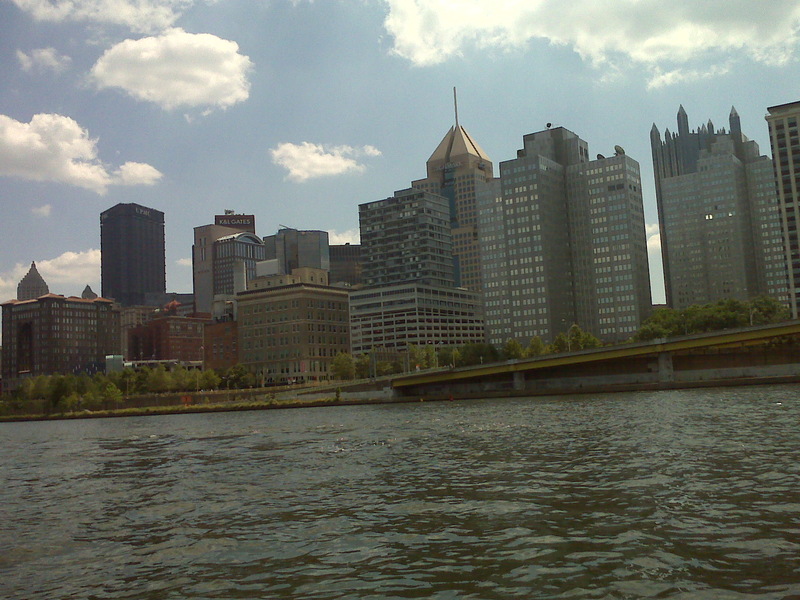 I spent a weekend back in June hunting down various Pittsburgh P-rog spots and eating lots of dough, potatoes, and cheese. Ultimately, my favorite pierogie may have been from the S&D Polish Deli in the Strip District. Silky, buttery, melty. This place had lots of other authentic and tasty looking dishes and a clean and bright dining area within the deli to enjoy them. I would suggest checking it out! Also, I am considering embarking on some home-made pierogie making sometime in the future…I will keep you updated. For various reasons, I have not been cooking much this summer. Lack of motivation, busy schedule, traveling – all the usual suspects have made their contributions. So in lieu of any new recipes, let me share with you some pics from a recent foodie-centric trip to Philadelphia. The weekend started with some killer flat-bread sandwiches from Cosi (come to Pittsburgh, please? 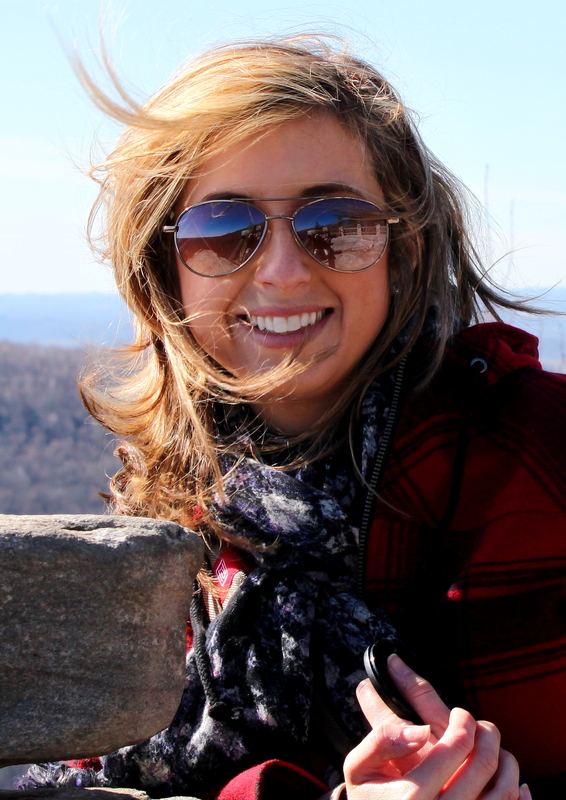 ), manicures and pedicures, and frozen yogurt eaten in Rittenhouse Square. A lovely afternoon for sure. 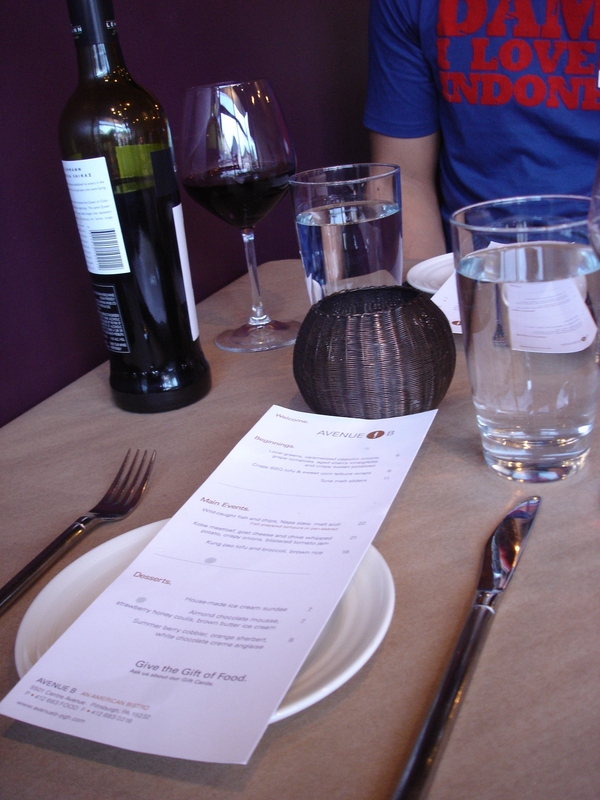 For dinner that evening, we made it to Amada. This place was super cozy and would be the perfect date spot. We ordered several tapas and swooned over the aged manchego with lavender truffle honey. Amada is owned by the Garces Restaurant Group (as in Jose Garces, the Iron Chef). Saturday morning we got ourselves to the Northern Liberties in order to enjoy Silk City Diner. This was a solid breakfast/brunch choice. I tried the french toast and the smoked salmon and goat cheese omelet. Quality stuff. 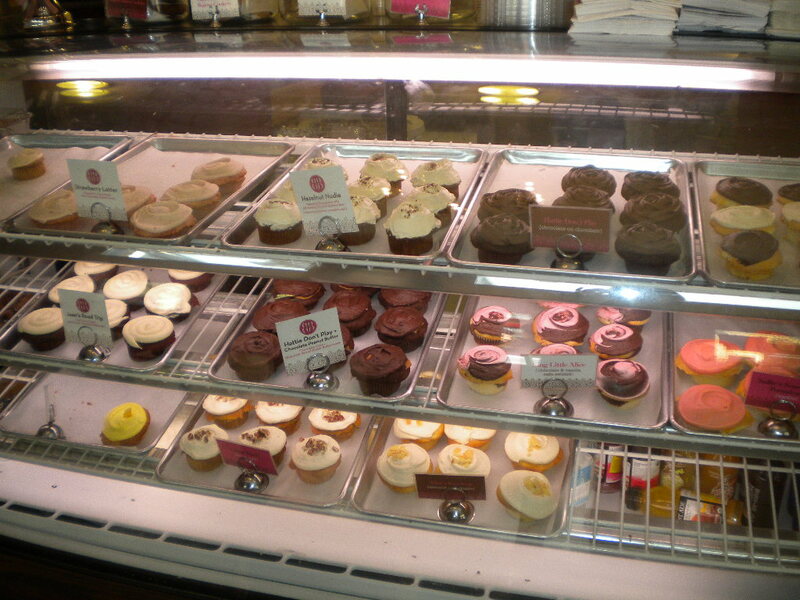 Next up, we wandered further into the neighborhood and ended up at Brown Betty (Liberty Place location). so what if we just had brunch? Here we split a chocolate on chocolate cupcake. This thing was huge and dense. I enjoyed it but I am not sure it was the best I have ever had. The place was super cute though. BYO + out all night = amazing brunch needed the following morning. Fortunately, my host knew right where to go. Parc. 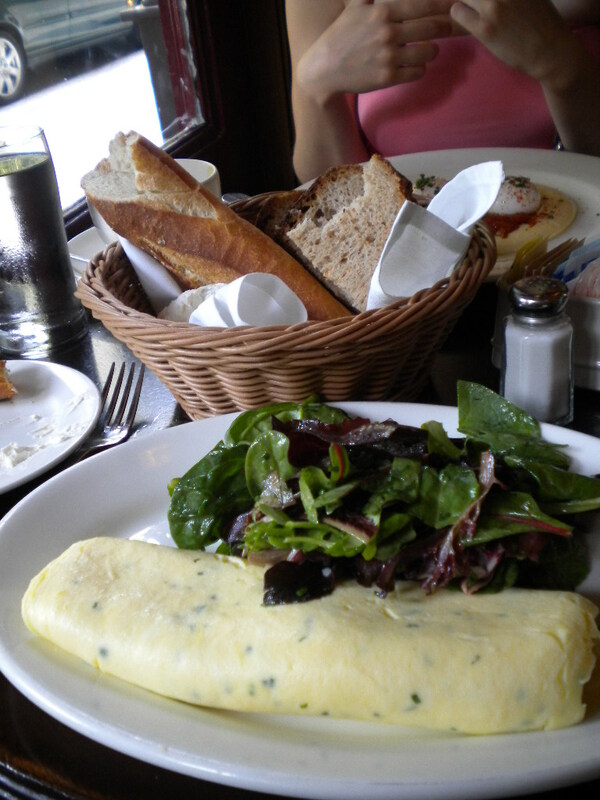 Please note the incredible bread basket and perfect omelet shown above. If you want to feel super cool and like you are most definitely on some type of vacation, please go to Parc, which sits right on the edge of Rittenhouse Square. It is quite lovely. I had an awesome time in Philly and hope to return again soon!